The blog looks dead, but it's not. It's just in a zombie-like state (Shallow breathing and a low pulse that is almost undetectable.). People have been asking what I've been doing, and if I am going to start blogging again. The answers? Yes, I do plan on getting back to blogging. And what have I been doing? 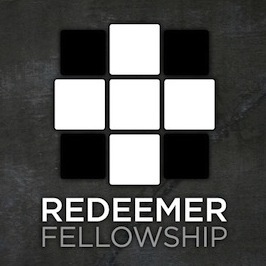 At Redeemer we are finally launching our "discovery and development" process for potential elders and deacons(esses). This looks good, and I am excited to see how God continues to develop godly leadership among us. We've launched a new Home Group that meets Sunday nights in the very neighborhood of our church building, and are looking to launch our fifth early next year. 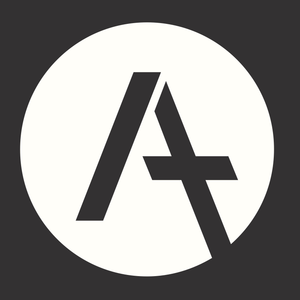 I've been working on articulating goals (and strategies to reach those goals) for the church, the leadership, the members and regulars, and myself as pastor, husband, dad and Christian. This is the first time I've done this to this degree of thought and planning. I've been working out my thoughts on suburban culture and better ways of seeing the gospel at work in this context. 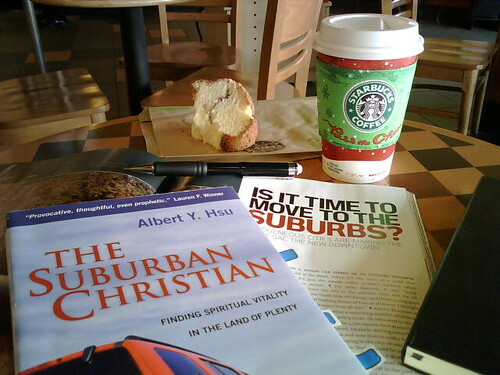 Al Hsu's book, The Suburban Christian is a great and necessary read. 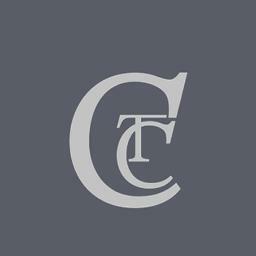 Steve McCoy has a small but good and growing list of relevant resources. Most recently, I was excited about the article in Details magazine by David Hochman, Is It Time to Move to the Suburbs? I stumbled over this while reading the magazine last week (yes, I'm that cool and stylish). It is a great read that explores many things I am seeing right here west of Chicago (a dreadful homogenization of the city, and a hopeful maturation of the suburbs). An excellent article. Steve and I have been talking about a project for some time now, and have finally begun putting in the work to make it happen. More on that in '08, but we are very excited. I've been running. In the cold. Its going to get colder. I better buy some hats. Time for photography is sometimes tight, but I am trying to take at least one decent photo a day with the camera on my new Blackberry Pearl. Here's the most recent.